This is my seventh post on using iPads in my classroom. In case you missed it, you can read Volume 1, Volume 2, Volume 3, Volume 4, Volume 5, and Volume 6. 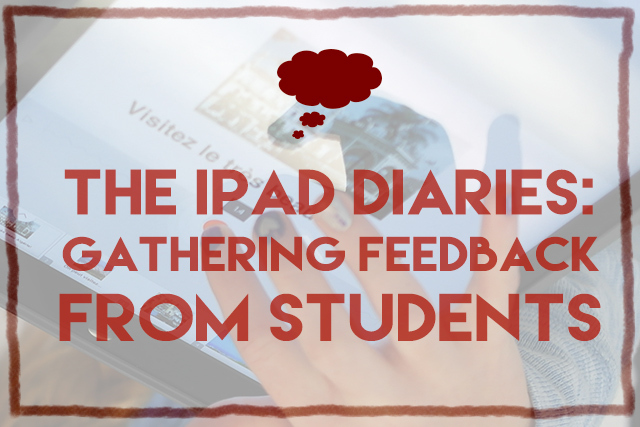 At the end of the school year, I needed to gather feedback from students about the use of iPads in the classroom. This feedback was then shared with the Saratoga Foundation for Innovative Learning, the organization who gave us the grant for the iPads. 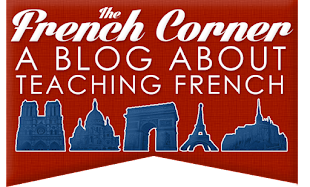 I decided to write a post sharing some of this feedback, because it can be potentially helpful to any language teacher using iPads in the classroom. A few of my colleagues and I gave the students a survey to answer anonymously. Below are some of their answers to the questions. While most of these answers came from the survey, some of them also came from conversations, both formal and informal, with students. How did the use of iPads improve your learning? · I was able to do work a lot faster. · They help with pronunciation. · They gave us an easy and fun way to practice new concepts that we had just recently learned. · They provided me with abilities to work in real life situations. · They are more interesting than listening to a teacher. · It helped me memorize terms more, and it made me excited for class. · I have gotten a lot better at reading and writing. · iPads are more mobile, making it easy for groups to move around the classroom. What about the iPad experience would you change to improve it? · I would work more with oral learning and then speaking it back to the teacher. · Maybe on the first day next year you could have the students browse the web for safe and appropriate iPad games to learn from and enjoy. · It's really fun and I think I benefit from using it each time. · Kahoot provided a fun and competitive way to learn with your friends. I thought it was cool how everything connected to the Smart board. · Kahoot motivates me to do better. · Kahoot has helped my quick thinking in French. · With Keynote, when we did the story project, I had a lot of fun. I was able to use all verb conjugations and draw in the same project (with Jot! Free), so that was a lot of fun. · We could do the same thing on our white boards. · Writing is too big, not best way to draw. For drawing I prefer the old fashion method such as quality dry erase markers. · You can’t really win. · There is no immediate feedback on whether you are right or wrong. Author's note: Move and Match had a lot of potential, but the lack of instantaneous feedback made it hard to use in a large class. · It was a cool program and fun to use. · There was a lot of background noise, but this was solved by talking closer to the mic. · It was sometimes hard to find photos to use [legally]. 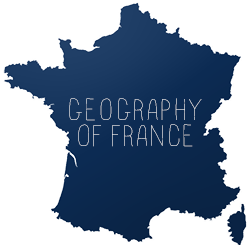 · I learned about lots of francophone countries. · I would like to have more time to have a deeper understanding of my country. · Students could give each other feedback by stating two things they liked and one thing they would improve. · The automatic citing feature was great. It is evident from the feedback gathered from students that most of them felt the iPads improved their learning and made the subject matter more engaging for them. Students are most motivated by apps that are interactive and offer immediate feedback, as well as competition-type apps. This summer, I have been researching apps to replace the ones that students did not find beneficial, and looking for ones that can move the learning up the SAMR model towards modification and redefinition. I have also been brainstorming more ways to incorporate stations into my lessons so that students can have more one on one time with the iPads, as many expressed an interest in being able to use them individually. Students’ willingness to be honest about what worked for them and what didn’t has made it easier to assess the usefulness of each app and activity.